During the last two years she earned seven coveted Spectrum Awards from the American Gem Trade Association. 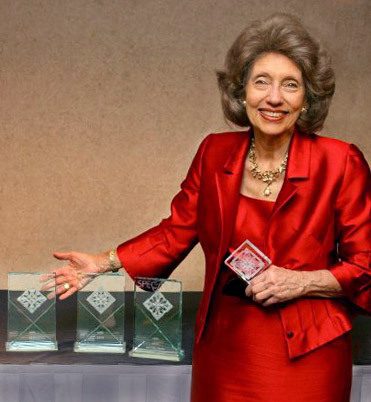 Thus far, in 2010, her designs have been recognized with four awards. Her artistry was formerly in Bergdorf Goodman for eight years; when she specialized in Art Nouveau designs. She now works as a private jeweler to the trade and on a client basis for discerning individuals. The photo on right was taken this year at the AGTA Awards dinner in honor of the winners. Other articles and photos of selected jewelry appear below.